I've been thinking a lot about starting my gluten free bakery. Key word thinking and also talking my husband's head off with the same thoughts every couple of weeks like they're new ideas. Recently I've been stuck on the things I don't know about or that seem overwhelming- taxes, paying employees, paying rent on a space, getting a lawyer, you know- real big business stuff. But as my good at focusing husband said, none of that matters if I'm not actually making a product and selling it. Which, by the way, I've read a bunch of times in crafty business books and in Etsy seller interviews. It's good advice that seems pretty obvious. I just need to start making food and selling it. The good thing is I'm stuck on those unknowns of the bakery because I feel pretty settled and confident about the other stuff. I can envision the style of the bakery, the logo and branding, the packaging and types of coffee and tea, the color of the walls and window decorations, the cake stands I'd display my muffins on, and of course all of the baked goods I'd offer. I feel good and confident about my style of baking. That it begins with nutritious ingredients that also taste really great and that sometimes I use real sugar for frostings because there's just no other substitute for the real thing. Like this recipe. 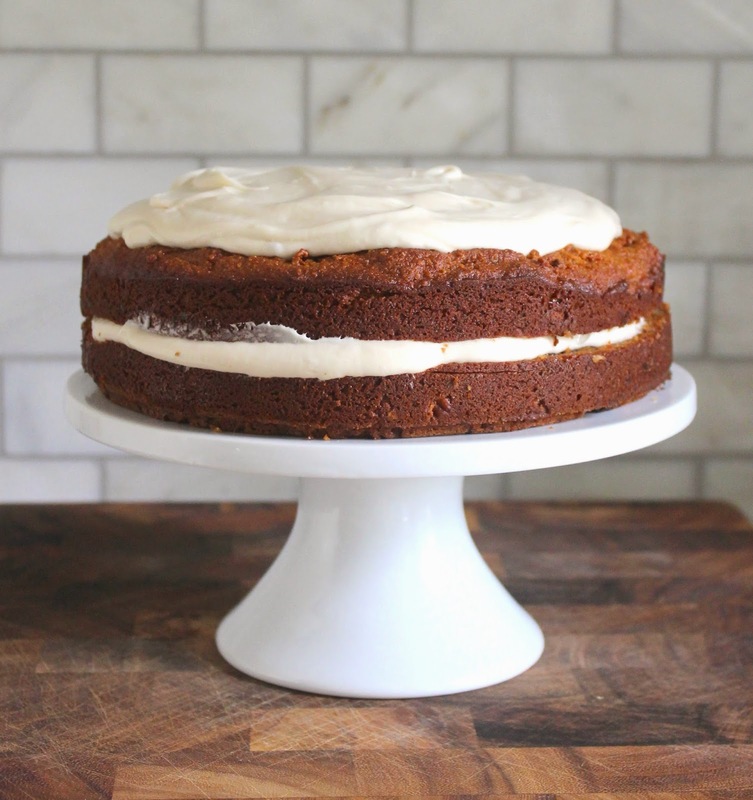 I just had to have real cream cheese frosting with carrot cake guys. For a sugar free option you could try my Cream Cheese Topping made with honey or you could skip the cream cheese idea and try a Merengue topping made with honey like this one from Health Home Happy- the only downside is that in my experience merengue has to be eaten immediately and does not keep well in the fridge. 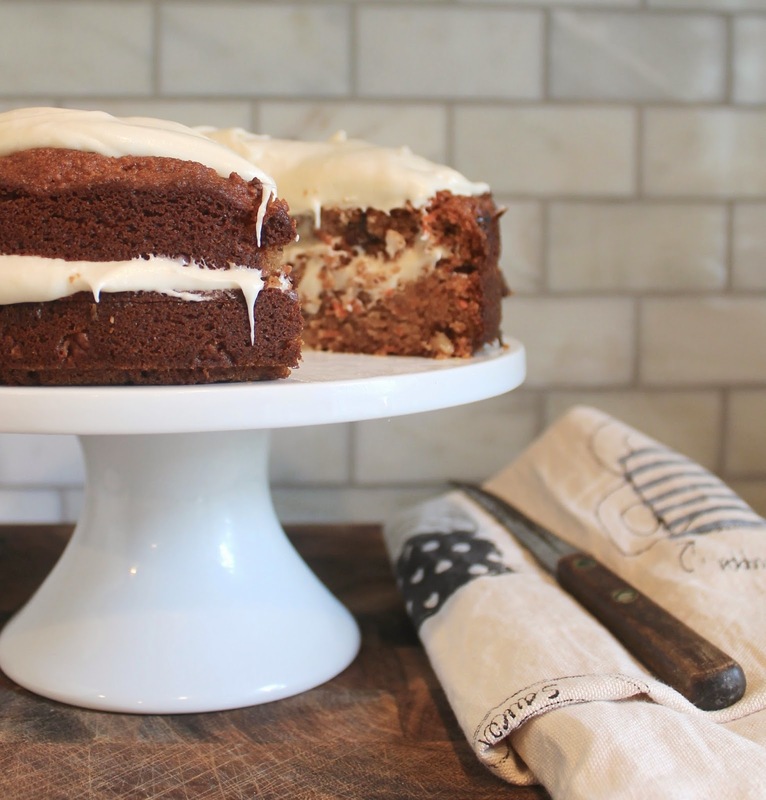 This carrot cake recipe also includes the traditional walnuts and raisins, but you could certainly leave out one or the other and I think next time I'll chop the walnuts much smaller. 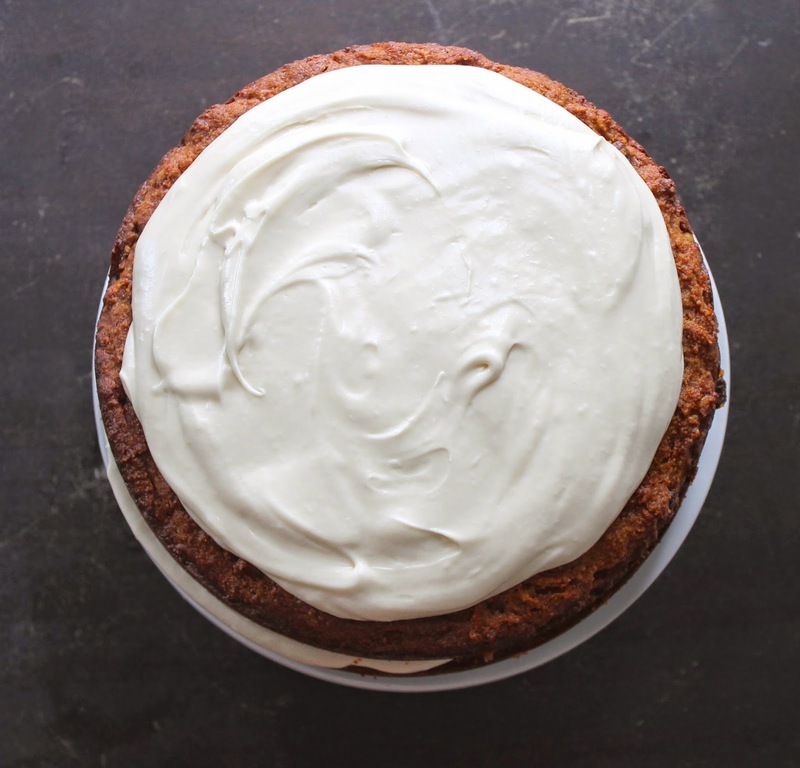 This will make extra frosting and you can frost just the top of the cake or be bold and slice the cake in half with a thin bread knife to frost in the middle as well. Fair warning though, because of the walnuts and raisins I did not get a smooth cut and created lots of crumbs and chunks of cake falling off! When covered this cake lasts a while in the fridge.